Magic in my life! – Woof Woof !! I was in class 4th when I had joined the hostel, you must have read about it in my earlier post ‘meeting my loneliness’. This post is not about my escapades in the hostel. Its about my awakening to the world of reading, to the world of fantasy and imagination, a world which has been exclusively mine. Before I had joined the hostel I was unaware of what a library looked like. Strange? Yes, it startles me too when I see the kids now, smaller than what I was then, reading books I read much later. I was a part of a joint family where reading was never encouraged, had never seen anyone reading, except the news paper. So the first day I had walked into the library I was a Virgin to the world of literature. We had a big library with a great collection of books. From the classics to the new world, we had one of the best collection of hindi fiction I have ever come across. Later found that the library was a different world inside the school campus. I wanted to share the first book I read in my life. A book which I cherish more than any other even today. It was randomly picked by me from the kids section of the library. ‘The Enchanted Wood‘ by Enid Blyton. 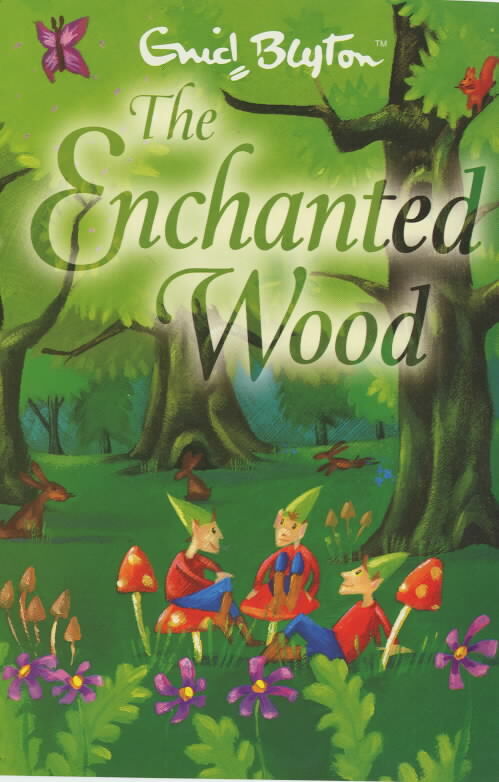 The Enchanted wood was a series which also had ‘The magic faraway tree‘, ‘The folk of the faraway tree‘ and ‘Up the faraway tree’. The story was so enchanting that it forced me to continue my journey of literary enlightment. It was about 3 siblings Joe, Beth and Frannie, who had moved to the country side near the woods with their parents. During one of their scouts into the woods they come across a tree which was so tall that the top branches led to the clouds. They discover that it was the magic faraway tree which was the home to the magical beings like fairies, pixies and goblins. There was Mr. Moonface who had a face like a moon, Silky the little fairy who was the sweetest most adorable character I have come across, Dame washalot who would keep washing clothes and throw the water down the tree, the Saucepan Man he wore saucepans, Mr. Watzisname, the Angry Pixie. The top of the tree had a ladder which would lead to the clouds which had magical lands, these magical worlds would keep changing as the clouds would move. There was the land of magic and the land of tipsy turvy, the land of birthdays and the land of goodies, the best was the land of take-what-you-want (the names tells you all). The children would climb the tree whenever they got the permission to get into the woods and would go on an adventure with their magical friends in the magical lands on the cloud. Whoa!! even writing about it makes me dream, I consider Enid Blyton was the most gifted children author of all times, with an imagination as wild as a child‘s she knew how to make imaginations come alive, simply brilliant. She can give J.K. Rowling a run for her pen anyday. The Enchanted Wood series are the books which I have read like a zillion times and each time I have read it was as vivid as the first time. Its one of those rare books which relaxes me and rekindles the feelings of creativity and imagination, even in the bluest moment. Its such a fascinating story which for me has been a journey on its own. Had it not been for these books I, reading might not have been a part of my life. I am truly indebted to Enid Blyton for writing such wonderful books which are unspoken masterpieces. I would firmly recommend all you people who like fantasy tingling you and driving through a lane created by you at your own pace, its a must read. If not you then do gift it to your children and children around you. A loner’s pursuit for happiness ! I absolutely agree and would recommend Enid Blyton´s books to all parents and therefore children. As I´m a girl I grew up with the St. Claire´s series….in those years where you don´t know why, where and what is this life all about. But there are the books- beautifully written, intersting, relaxing, funny… and the world looks nice. Thanx for sharing. 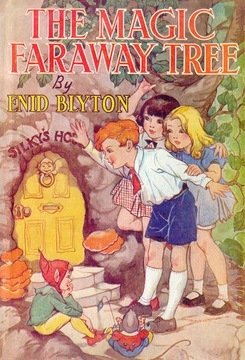 ENID BLYTON ..ah those days of absolute literary indulgence. I remember not being able to put her books down..getting ready on time so i could read at the breakfast table, then continuing in the school bus, then skipping sports period and sitting under a tree to finish the book. There were only 15 in the school library (Dehradoon) and didn’t want to ‘finish up’ the treasure. BTW for the longest time, I thought Enid was a guy! An old bespectacled man spinning magic in his magical stories. Great memoir! Definitely sparked Nostalgia. Thanks! Thanks, I know the feeling of not being able to keep away the book. Have read it hiding under the bed in the hostel 🙂 Great times awesome read.